These pet treats are soft, chewy, and delicious. Your pets will love the taste – and without any unnecessary artificial flavors, sugar, meat, or by-products. Not only are they delicious, but they can help your furry friend in promoting daily help, and easing tension. This includes anxieties caused by separation, thunderstorms, fireworks, and other common triggers. 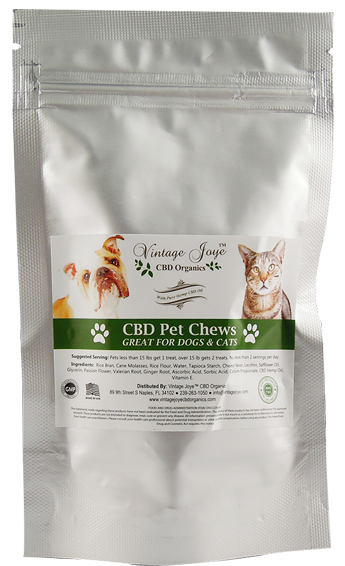 The CBD in these pet treats also helps to ease inflammation and pain from common ailments your pet may be suffering from.